For almost 800 career NHL games, Tom Poti has made a habit of doing just about everything to contribute to his team's success. Whether it's a legendary U.S. collegiate coach singing the praises of his game, or the General Manager and Vice President of his current club extolling his virtues, Poti has managed to impress more than a handful of people throughout his hockey career. He's also managed to fit in with a talented-loaded Washington Capitals squad, a team eager to shrug off last year's bitter playoff disappointment that saw them sent to the sidelines after the Eastern Conference quarter-finals. It's obvious the Capitals are happy to have him on board. Boston University head coach Jack Parker didn't even need one game to figure out Poti was destined for the NHL. Poti, who attended high school at Cushing Academy, had already built a reputation as a blueline talent. As both a junior and senior, Poti was chosen Best Defenceman in the New England Prep School Athletic Conference, and was also an NEPSAC All-Star both years, leading his team to the NEPSAC tournament title in his senior year. Poti was chosen to play with the U.S. World Junior Team that captured the silver medal at the 1996 World Junior Championships held in Boston. The Edmonton Oilers selected the Worcester, Massachusetts native 59th overall in the 1996. On October 10, 1998, the 6'3, 215-pound defenceman made his NHL debut against the Los Angeles Kings. Just over one month later, on November 18th, he scored his first goal against the Detroit Red Wings' Chris Osgood. After 73 games, Poti recorded 21 points, delivered 35 hits and 82 blocked shots. He was also awarded the Oilers' Top First Year Player award and named to the league's All-Rookie Team. Dealt to the New York Rangers with Rem Murray for Mike York and the Rangers' fourth-round choice (Ivan Koltsov) in the 2002 Entry Draft, on March 19, 2002, Poti, who helped the U.S. win a silver medal at the 2002 Olympic Games in Utah, continues to be a strong presence on the back end. Parker, for one, isn't surprised to see Poti thriving at the NHL level. Poti is hoping his individual efforts translate into a first-ever Stanley Cup win for the Capitals. 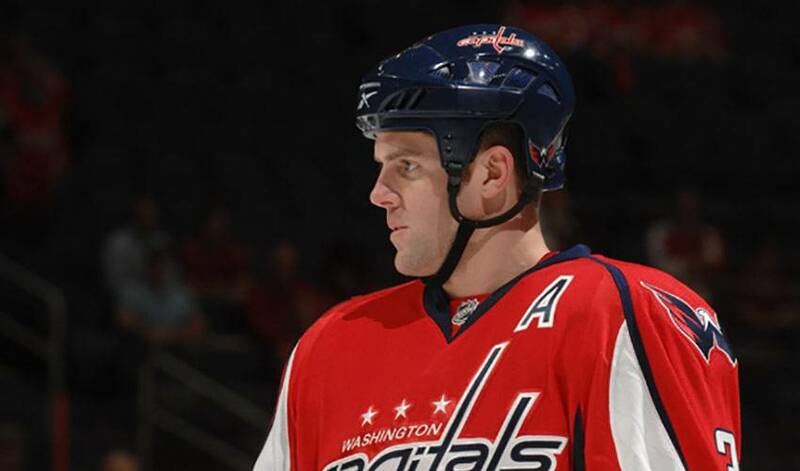 Last season, he ranked fifth among NHL defencemen and third among Capitals defencemen with a career-high plus-26. He ranked second on the team with 121 blocked shots while averaging 21:24 of ice time. One that could be even better if he were to see his name etched on hockey's most cherished team trophy.